Imua Landscaping Co. Inc. has been serving the Hawaiian Islands for more than 40 years! We have 8 Certified Arborists, many CTW's, and scores of qualified professionals as well as some really nice equipment to get the jobs done quickly, safely, and efficiently. We are looking to hire arborists and grounds people who are motivated to expand their skill set and grow as professionals. We are seeking people of all experience levels who wish to work in an environment that nurtures professional development, training, and safety oriented approach to arboriculture. 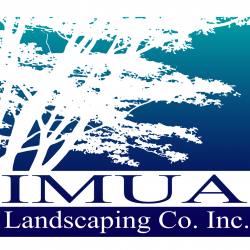 Email me jobs from Imua Landscaping Co. Inc.